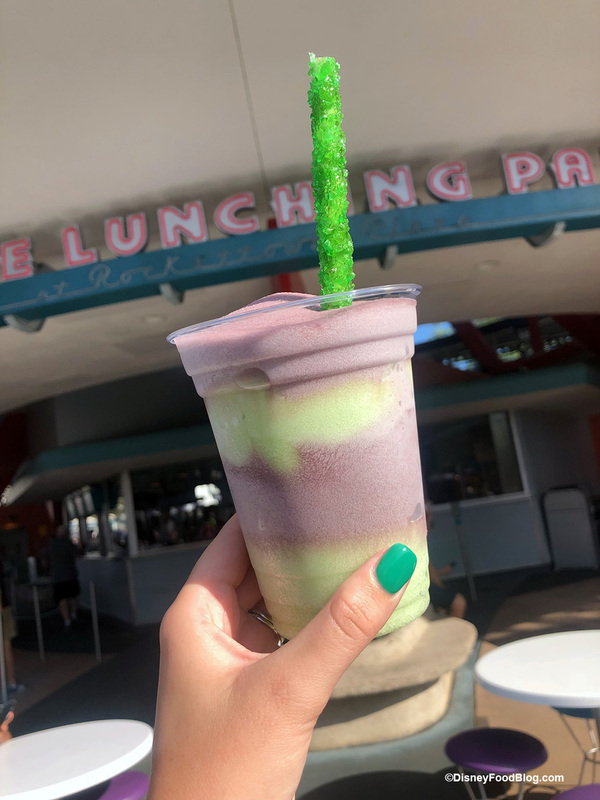 Since Pandora — The World of AVATAR opened last year in Disney’s Animal Kingdom, we’ve been watching the treats at the land’s beverage and snack stand, Pongu Pongu. Pongu Pongu’s signature snack, Pongu Lumpia, is a pineapple and cream cheese-filled spring roll. It’s been a love/hate snack since some people don’t like the texture — but I think it’s great! But something that does tend to be a big favorite among many is the Night Blossom. 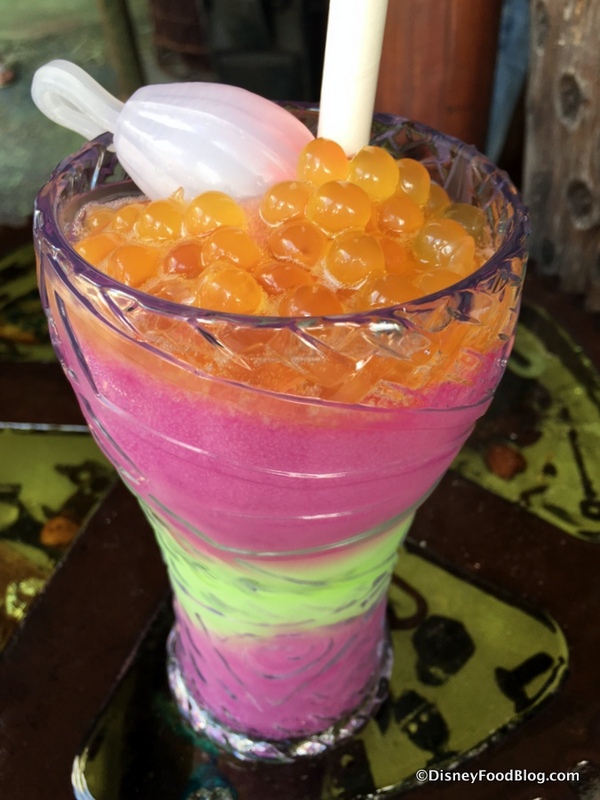 This frozen beverage layers apple with desert pear and limeade and is topped with passion fruit popping pearls. They keep trying to convince me that the Pandoran Sunrise at Satu’li Canteen is Pandora’s signature drink. But, trust me. It’s totally the Night Blossom. 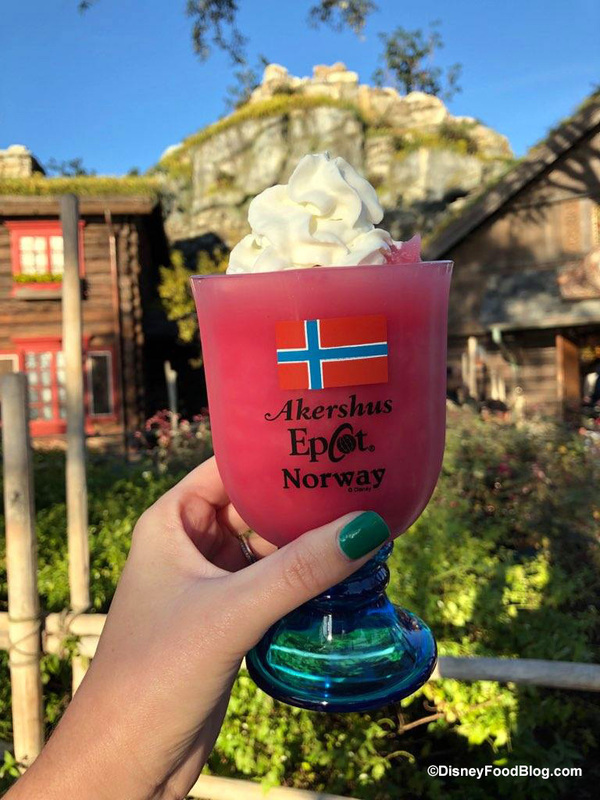 It’s bright and beautiful, both in color and flavor, and we’ve recommended it from the first as one of the best non-alcoholic drink options not only in Animal Kingdom, but in the whole of Disney World. Wait… did I say “non-alcoholic”? Yes I did… because it is. But NOW, you can also order up a RUM BLOSSOM, which adds Bacardi Superior Rum to the drink!